It is with deepest sympathy that The San Pedro Sun announces the death of Belize’s first Prime Minister, and Father of the Nation, the Right Honourable George Cadle Price. After falling at home last week, Price was hospitalized until his passing away this morning (September 19, 2011) in Belize City. The former statesman is considered as the champion of Belize’s Independence. Price was born on January 15, 1919 in Belize City to William and Irene Price née Escalante. Having returned from seminary, Price entered politics in 1947 with his election to the Belize City Council. Three years later, on September 29, 1950, he co-founded the People's United Party, which he led for four decades. Price’s dream of a free and independent Belize was taken to an international forum where he gathered support worldwide. Price’s devotion to the political and economic independence of the British colony, then known as British Honduras, was what made him gain the respect of his country, world leaders and political scholars across the globe. In 1982, Mr. Price was made a member of the Privy Council. For his lifetime dedication to Belize, in September 2000, Price became the first person to receive Belize's highest honor, the Order of National Hero. He has received similar honors in other Caribbean and Central American countries. Mr. Price’s motivation was his fellow country men and women. His family was not only the Price and Escalante, but Belize. To speak and talk about the Right Honourable George Price is to think of Belize. The San Pedro Sun joins the rest of the country in mourning and extends its deepest sympathy to the family, friends and to the nation. Rest in Peace, Father of our Nation. 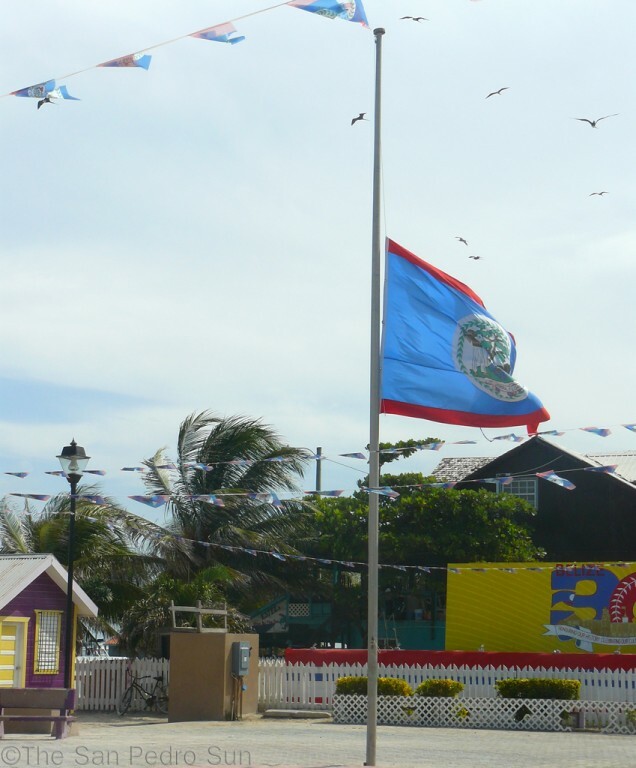 BELIZE CITY, September 19, 2011 - Prime Minister Dean Barrow has declared a period of mourning starting today, Monday September 19 and continuing through to Monday September 26. This follows the death of two-time Prime Minister and Leader Emeritus of the People’s United Party (PUP) Rt. Hon. George Cadle Price. Mr. Price, 92, died at 6:30 am on Monday at the Belize Healthcare Partners Hospital in Belize City. He had been hospitalized since Wednesday, September 14 after he suffered a fall at his home in Belize City. Mr. Price had undergone surgery to remove a blood clot and was in a medically induced coma. 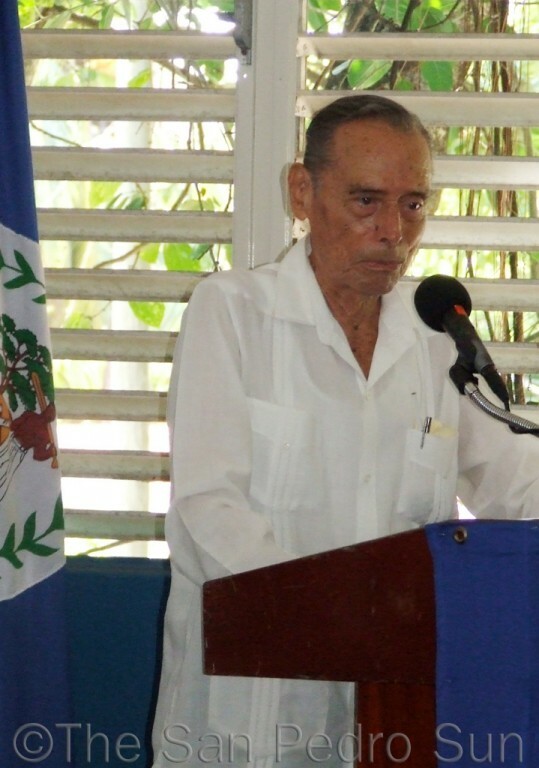 Mr. Barrow said that the government of Belize in conjunction with Mr. Price’s family is making arrangements for a state funeral to take place on Monday, September 26. Until that, time flags in Belize are being flown at half mast, with the exception of Independence Day on Wednesday of this week. “On behalf of a grateful nation to which Mr. Price devoted his entire life, I offer condolences to his immediate and extended family and to the People’s United Party,” the Prime Minister’s statement said.